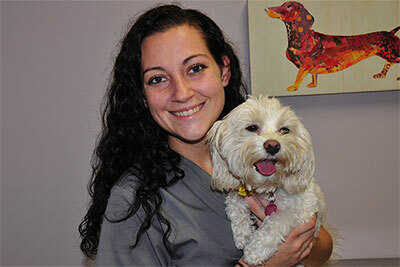 At our animal clinic, we believe in cultivating a team of professionals that are both knowledgeable and compassionate. With so many services that we offer for the dogs, cats, and other pets of the Greater Charlotte area, it is very important for our team to have the necessary skills for everything from vaccines to dentistry to bathing to surgery to emergency vet services. We carry out every service with the well being of your pet in mind. Through in-depth training, professional sharing of knowledge, and a continual commitment to learning new animal care skills and techniques, veterinarian Tom Linfante, DVM leads his team to achieve ever higher levels of professional excellence at West Ballantyne Animal Hospital. While professionalism and skills are important qualities to our animal hospital, we know that at the end of the day, you’re bringing your pet here because you love them. For this reason, we strive to treat every patient and their owners with true compassion. Many members of our team are pet owners themselves, and this allows us to bring a greater sense of understanding. We know that seeking care for a sick pet can be an emotionally trying experience, which is why we go out of our way to make sure that you and your loved one are treated with the kindness and empathy you deserve. At the end of the day, none of the other Charlotte animal hospitals can match the range of services, commitment to best practices, and kind care that our team provides. Contact West Ballantyne Animal Hospital today, and find out why our staff is the best choice for you and your beloved pets.